﻿I had an awesome time with the ladies at Freedom Church Jacksonville. All we need is to have an attitude of expectation! God is always ready to give us what we need when we need it. I am ready and I hope you are, too! 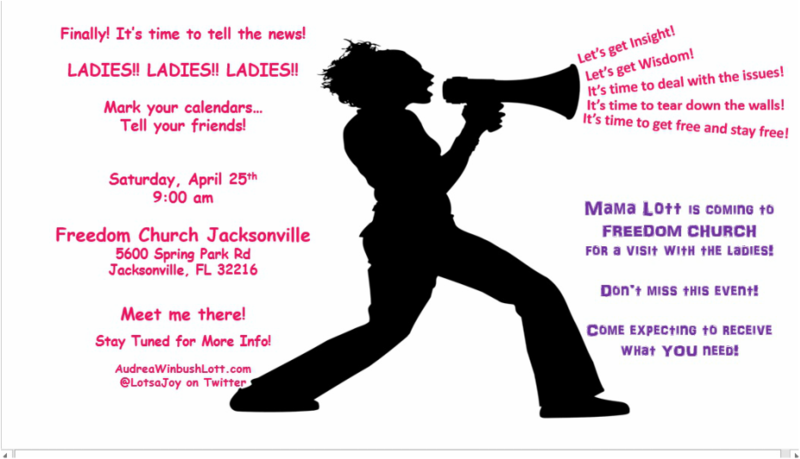 Mama Lott is coming back to FREEDOM CHURCH JAX!!! Last time I visited them I thought I was going to participate in a forum, field some questions that the ladies had submitted and just flow and be open to what God wanted to do. I must not have been listening too well, because when I got there, they had a night planned called The Mama Lott Show. 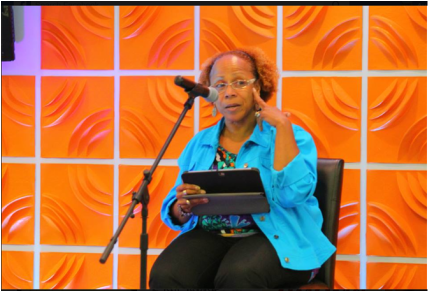 They gave me a stool to sit on, put me a microphone in front of me, and just kept the questions coming! I was blessed by the interaction more than they were, I think. God truly demonstrated for us the importance of having His Word within us so that whenever any situation arises, we will be able to get our guidance, wisdom, and instruction from Him. 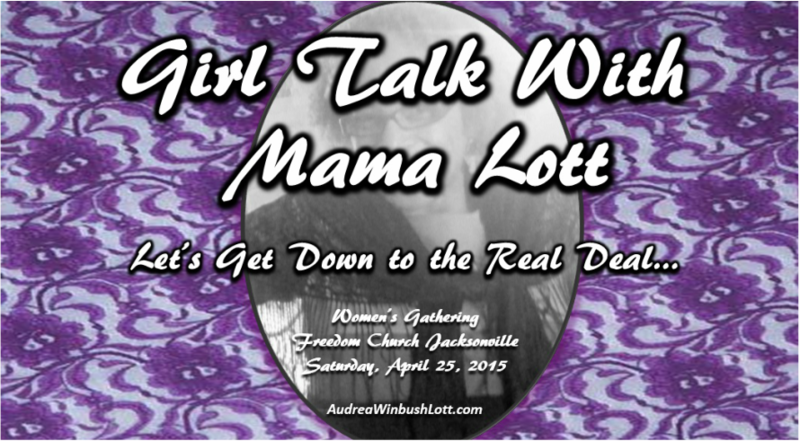 I'm not sure yet whether or not this is going to be another "Mama Lott Show" but I am so excited about getting back to Freedom Church Jacksonville! I wanted to get this out there so the calendars can be marked and your plans and expectations can be set to meet me on Saturday, April 25th! The Freedom Church is a great place for a fresh start. We're not just a ministry, but we're a movement!